At home with the Flintstones! This work of art in natural wood is modelled on a primeval hand axe, bridging the gap between modern wood working and ancient forms. 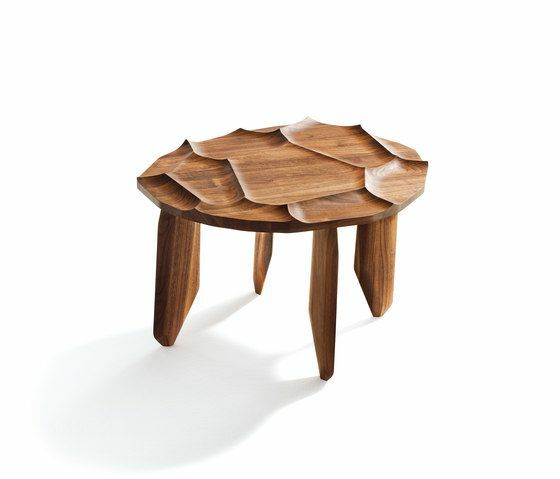 Its unique surface structure is composed of intricately-crafted 38 mm thick solid wood segments. Sharp, defined edges and soft curves refract the light and cast shadows in fascinating ways. Whether combined or on their own, rock & roll products create unique highlights in any living space.